The Law Offices of Lynda L. Hinkle > News/Events > Elder Law > Bankruptcy Protection for Those Who Inherit Retirement Funds? 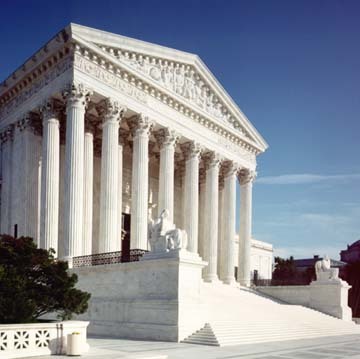 The United States Supreme Court recently decided that there is no bankruptcy protection for those who inherit retirement funds. In a unanimous decision the court said that inherited IRAs are not subject to the same bankruptcy exemptions that traditional retirement funds are entitled to. In the case of Clark v. Rameker a woman named her daughter the beneficiary of her IRA. When she died her daughter received the funds and, as per the rules governing such bequests, she had the option of either withdrawing the entire amount within five years, or taking a minimum annual distribution. She opted for the latter. Unfortunately, the daughter declared bankruptcy within ten years of the bequest. Her creditors argued that they were entitled to the money in the inherited IRA account, but the daughter claimed that the funds should be exempt, as are an individual’s retirement funds in bankruptcy cases. The court initially agreed with the creditors, but a District court reversed the decision, due to the fact that the funds were originally accumulated for the purpose of retirement. The Supreme Court finally decided that the original court was correct, and that these funds were not protected from creditors. A person who owns such inherited funds is not legally allowed to contribute to those funds. The owner of the inherited fund must withdraw money from the account, regardless of how close that person is to retirement. The owner of the fund may withdraw money from the fund at any time without triggering the tax penalty that applies to those who take early withdrawals from their own retirement accounts. The court found that inherited IRAs do not operate in the same way as traditional IRAs, and were thus not protected from creditors in a bankruptcy filing. There is some protection for spouses who inherit retirement funds, as they have the option of rolling the funds into their own retirement accounts, but even then they should be careful to structure the funds in such a way as to protect them from tax penalties. Non-spouses who inherit such funds do not have this option. There are a few ways to protect retirement funds if you fear they might be swallowed up in an inheritor’s subsequent bankruptcy, such as naming a trust as the beneficiary of your retirement funds. If you are concerned about the best way to protect your loved ones, and make sure they get what you want to pass on to them, call our office at 856-227-7888 for a free consultation, or contact us at hinklelaw@lyndahinkle.com. What Documents Do You Need for Estate Planning?